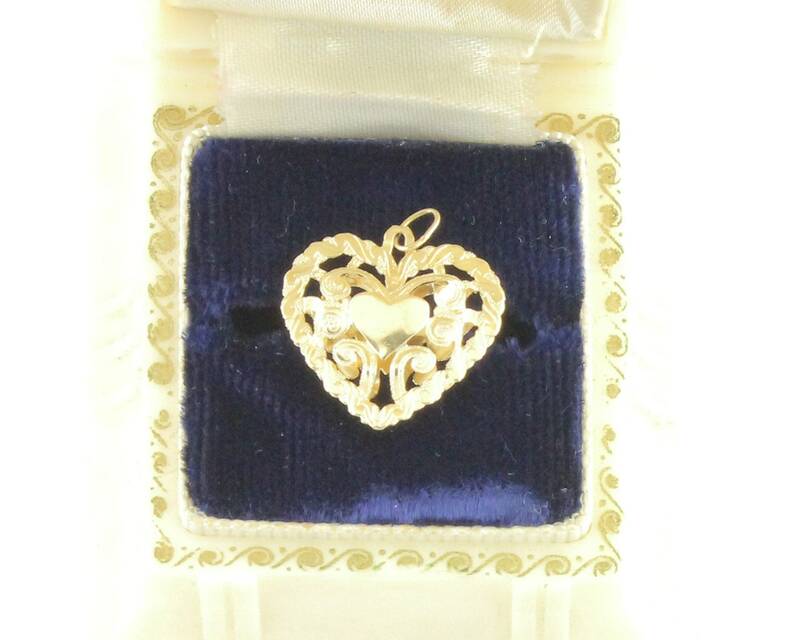 Vintage 1980's 14K Engraved Pierced Puffed Heart Pendant. 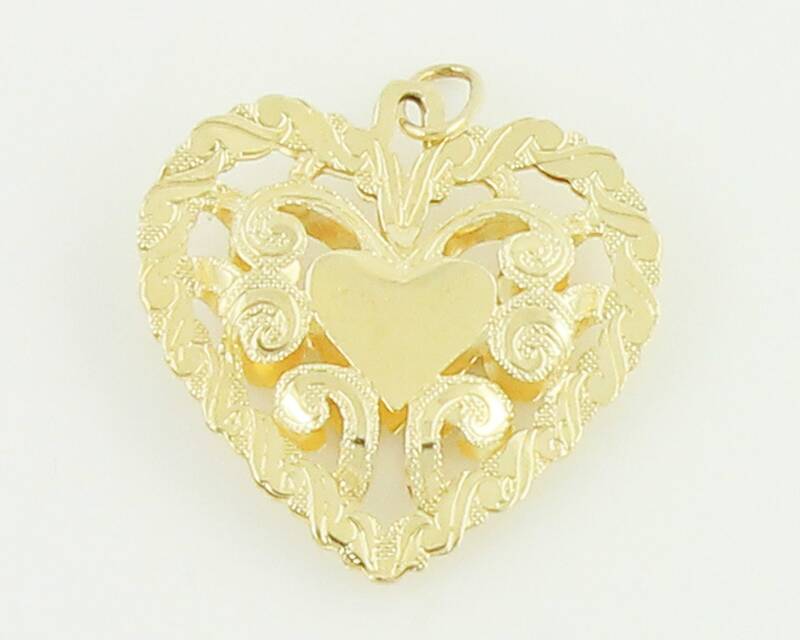 This sweet pendant or charm is a lovely token of your love. Made of 14K yellow gold, the double-sided pendant is decorated with scrolls twists and pierced work.